Our next litter is planned for winter 2017/2018. For more information, call or text Kindra at (701) 208-1548 or via email at sflyingk@gondtc.com. 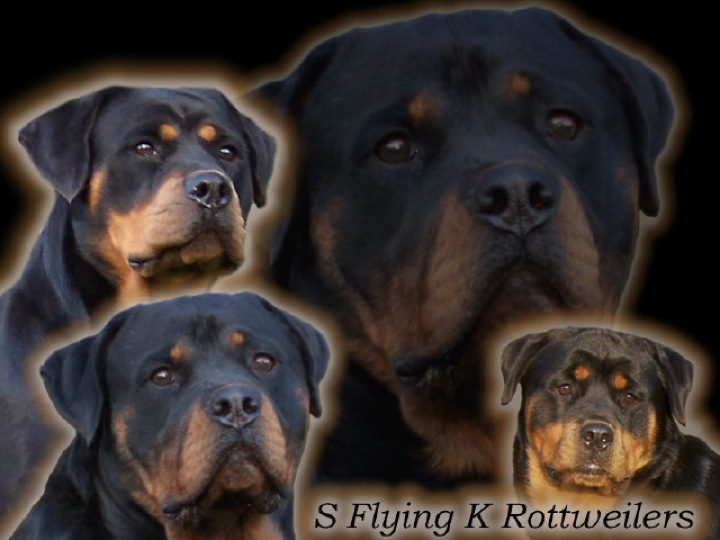 Welcome to SFlyingK Rottweilers. We strive to produce dogs with wonderful temperaments, health, great conformation, good bone, drive and huge heads. We believe in preserving the original German Style Rottweiler. We are a small kennel only producing a couple of quality litters a year. Our Rotties are first and foremost our beloved family members. Our dogs have wonderful dispositions with everyone. They are all well socialized and have world famous pedigrees. Our pups are handled daily from birth and they are very well socialized with kids, other animals, different noises and situations. All pups are vaccinated and dewormed several times. Our puppy families are thoroughly and carefully screened. A rottie is a huge commitment and you must have the time, patience, a good sense of humor and on going obedience training. You need time to dedicate to a Rottie! We strongly recommend puppy training classes, obedience basic and advanced classes. Your new rottie needs proper training to become a good citizen in their community. A Rottie is not to be chained or just left in a kennel. They need and want to be a part of your family and they thrive on positive attention! 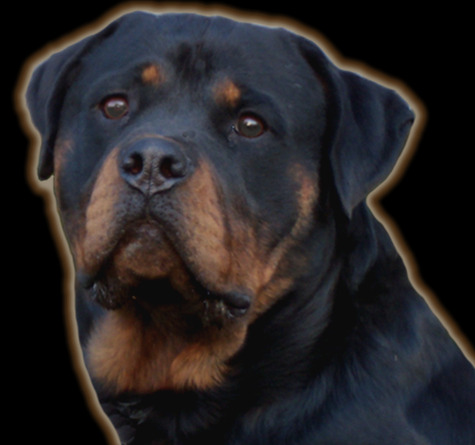 Rottweilers are wonderful, kind, loving companions when properly trained and socialized. We sell most of our rotties for pets along with a limited AKC registration. We want our puppy families to stay in touch and we are always here to help. We are located in York, North Dakota and live on a farm so our dogs have lots of space to run. 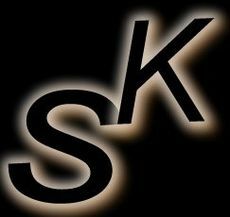 Thanks for checking out our web home and we will be looking forward to hearing from you. Please click on the contact button below to send us an email or call Kindra at 701-583-2119. Thanks and God Bless!